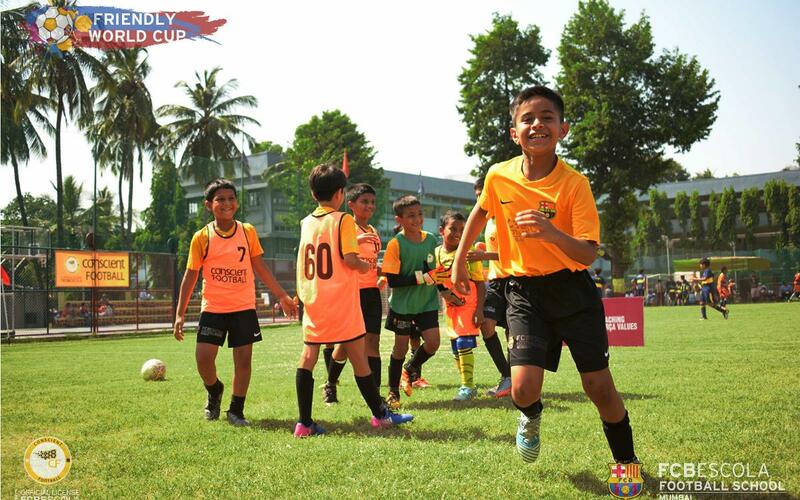 The FCBEscola Mumbai successfully held the first ever Friendly World Cup, a competition bringing together over 400 players from 13 different schools located in India’s biggest city. The tournament drew deep praise from its participants, who played a total of 60 matches in six different categories over the course of a single morning. The FCBEscola Mumbai won the title in three of the six categories, including the Under-8, the Under-18, and the Girls’ tournament. Among the participants were the Mumbai academies of prestigious clubs such as Boca Juniors and Arsenal. Other academies included the Bhaichung Bhutia Football School, India Rush Soccer, GIFA, the Oscar Foundation, Valiente FC, St. Dominic Savio School, Aquila FC, Kooh Sports, CFC, and TSG (The Sports Gurukul).